Photo: public march for Trayvon Martin in San Francisco, California. The Commons. The word "Nile" is a Greek word for river valley. In the ancient Kemet language, the language of the original people of the region now called Egypt, the river was called Ḥ'pī or iteru, meaning "great river" and was represented by the hieroglyphs shown at left, which literally means 'itrw' or 'waters' determinative. The Nile is one of the most densely populated areas on the face of the earth with more than 370 million people depending on its water. The Nile River in East Africa is more than 5 miles wide and 4,175 miles long and is thought to be about 30 million years old. 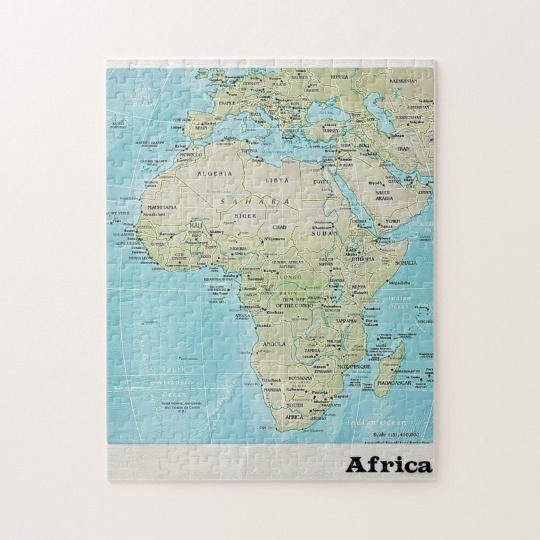 The waterway now runs through Burundi, Democratic Republic of the Congo, Egypt, Ethiopia, Kenya, Rwanda, South Sudan, Sudan, Tanzania and Uganda. The Nile River flows away from the equator, from south to north. In the West, Lake Victoria was historically thought to be the source of the Nile. This was based on the 1864 expedition records of Englishman John Henry Speak. It was later discovered that the source of the Nile lies further South, within the forests of Rwanda. It has also been asserted that the Atbarah River, located in the eastern portion of Sudan, is the original source of the Nile -- its last tributary before it reaches the Mediterranean Sea. 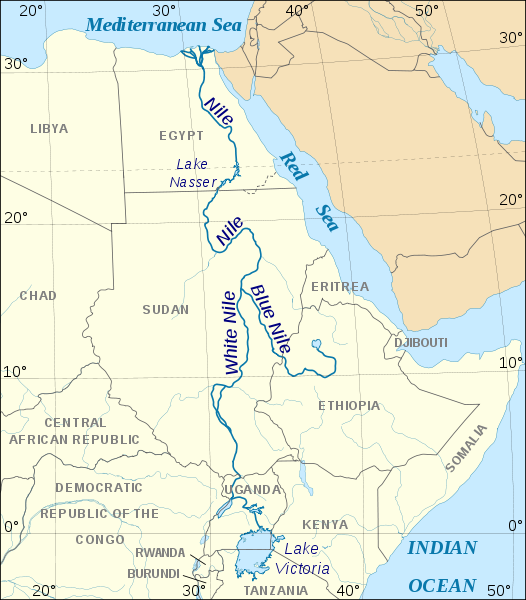 The Nile has two large tributaries: the White Nile and Blue Nile. The White Nile is longer than the Blue Nile. It is located south of Lake Victoria and derives its name from its light grey color that comes from its sediment deposits. The White Nile is subject to wild fluctuations and raises up to 20 feet at its highest point. Historical patterns have been that May is the rise of the river and around October the river falls. Ancient Kemet people captured all the water they needed from its overflow for each year's annual crops. The Blue Nile has its origins at Ethiopia's Lake Tana. Out of Lake Tana, the Blue Nile flows southeast into the Sudan where it meets again with the White Nile near Khartoum, Sudan. The Blue Nile provides about two-thirds of the Nile River's water. It derives its name from the dark blue color that it takes on as it moves through the Sudan. After the Nile exists Lake Victoria it is called the Victoria Nile. A monument marks where it rises outside of Jinja, Uganda. The river flows into Lake Albert opposite the Blue Mountains in the Democratic Republic of the Congo. When the Nile exits through Lake Albert it becomes the Albert Nile. 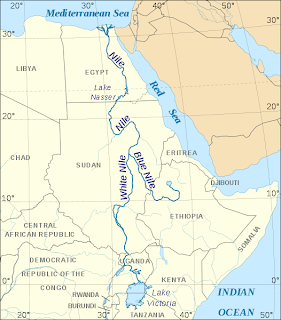 The Nile River connects the countries it runs through geopolitically. This is due to national interest in controlling water use through dam systems. The most dominant national actors in Nile water control are Egypt and Sudan. Egypt has historically been the biggest player in blocking the flow of the Nile into neighboring countries. The Nile River Basin only makes up five percent of Egypt's land mass, but ninety-five percent of the population lives along the Nile. In 1844, Menelik II, the son of King (Negus) Haile Melekot, was born in Ankober, Ethiopia. When King Melekot died in 1855, Menelik II was imprisoned at Magdala by Emperor Tewodros II, a noble who usurped the Imperial throne of Shewa. The royal family of the Shewa region throne traces its lineage to the union of King Solomon of ancient Israel and Queen of Sheba of Abyssinia, which goes back into the history of the Kush and Nubia ancient royal kingdoms. A young Menelik II would eventually escape his Magdala capture and return to the region of his father in Shewa where he claimed title to its Imperial throne. 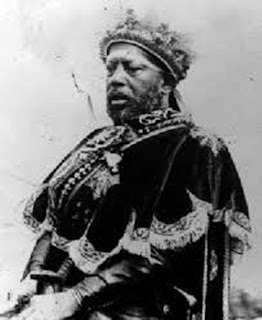 Emperor Menelik II was a federalist that believed that the region would be strongest under a consolidated central Imperial crown at Addis Ababa (aka Addis Abeba or "new flower"), a location that would be chosen in 1886 by his Empress Taytu Betul, a city-state like London and Washington D.C. Menelik II's leadership efforts focused on consolidating the Ethiopian empire under royal patriarchal Imperial rule. During his reign, the British had heavily armed Emperor Yohannes IV (aka King John of Abyssinia) against Emperor Tewodros II. In 1863, Emperor Tewodros II reportedly committed suicide after being defeated by the British at Magdala. By 1880, Menelik II was signing a treaty with the Italians in the Wollo province at Wuchale, acknowledging the establishment of the Italian colony of Eritrea and its capital at Asmara. Eritrea is in the northern Tigrean region. As a result, this treaty signing weakened the rule of Ras Mengasha, the son of the late Emperor Yohannes IV, over the region. When Menelik II signed the treaty with the Italians, he did not know that the Amharic version was different than the Italian version (Uccialli), a common trickery used by many European colonialist against native populations. When Menelik II discovered the deception, he denounced the Italian treaty. 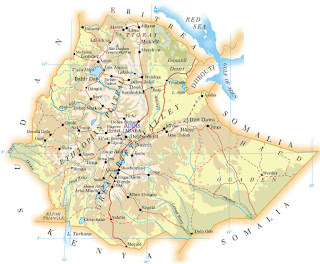 Italy declared war against Menelik II and invaded Ethiopia from Asmara. Menelik II defeated the Italians at Amba-Alagi and Mekele. On March 1, 1896, Menelik II inflicted a decisive blow against Italian soldiers at the Battle of Adwa, forcing Italy to recognize Ethiopia's national sovereignty. Ras Mengesha was able to eventually secure Emperor Menelik II's recognition of his position as Prince of Tigray (aka Tigrai). Ras Mengesha had supported Menelik II's efforts to defeat the Italian invasion in 1896 in the Battle of Adwa. Menelik, however, refused to crown Ras Mengesha as King of Zion, which led to his rebellion against Menelik. In 1898, Menelik II defeated a rebellion by Ras Mangasha, further consolidating Imperial authority over Ethiopia, unifying the Ethiopian highlands. Ras Mengesha was defeated and placed under house arrest until his death. Menelik also signed agreements with the French settling the limits of French establishments on the Somali coast and at Jibuti (Djibouti). Photo of Lil Iyasu on horse mounted left. 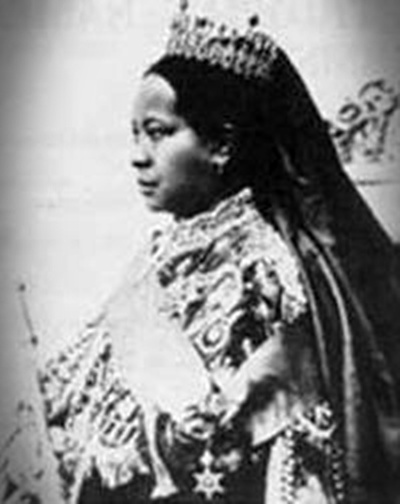 In 1883, Menelik II consolidated his power further through marriage to Empress Taytu Betul, an influential noblewoman of Imperial lineage whose uncle ruled Tigrai and much of northern Ethiopia. While Menelik II would have no children with Taytu, he did have two daughters, then Princesses Zewditu and Shoaregga, and a son who died as a child, Prince Wossen Seged. In May 1909, Lij Iyasu (aka Lij Yasu), Menelik II's grandson by his daughter Shoaregga, was married to Romanework Mangasha, the daughter of Ras Mengasha and niece of his wife Empress Taytu. Lij Iyasu was 13 years old at the time of this political marriage. In March 1910, after Negus Menelik II became ill, the Imperial Crown Council of Ethiopia was formed, headed by Fitawrari Habtegiorgis Dinagde. Lij Iyasu was designated by Menelik II as his patriarchal Imperial successor. Lij Iyasu's allegiance to the Islamist, however, precipitated a domestic crisis in Ethiopia. Iyasu had aligned himself with Ethiopia's traditional enemies, the Somalis and the Gallas, and converted to Islam -- proclaiming that Ethiopia would join the Turks' Holy War under his leadership. On December 12, 1913, Emperor Menelik II died and was buried at the Baeta Le Mariam Monastery Church of Addis Ababa. Lij Iyasu was excommunicated by Marrheos X, Abuna of the Ethiopian Orthodox Tewahedo Church, who feared that he might turn Ethiopia into a Muslim state. The Shewa nobility was not content with what has been described as Lil Iyasu's colorful lifestyle, including taking several Muslim wives. 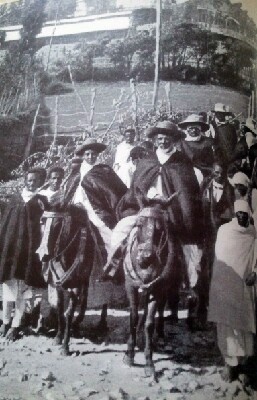 He also exiled Princess Zewditu Menelik and her husband to the countryside, as a threat to his rule. Iyasu ruled for about three years but was never officially crowned. He was deposed in 1917 by the Imperial Crown Council and his royal cousin Ras Tafari Makonnen, the future Emperor Haile Selassie through the Imperial matriarchal lineage, was elevated as regent. Menelik II's daughter Zewditu Menelik, was crowned Nigiste Negast (Queen of Kings) and reigned as Empress from 1917 to 1930 by the ancient Abyssinian-Kushitic code of the Fetha Negast (Law of the Kings), as discerned by the Imperial Crown Council of Ethiopia. Ras Tafari was made heir apparent to Empress Zewditu. Lij Iyasu was placed under house arrest in Sellale. To the end of her life, Empress Zewditu referred to her deposed nephew as "Getaye (my lord master) Iyasu". None of Zewditu's children survived to adulthood and the facts surrounding her death in 1930 has always left question of whether it was by natural cause. INITIAL DISCUSSION QUESTION: According to a The New York Times report, "[t]he United States has less than 5 percent of the world's population. 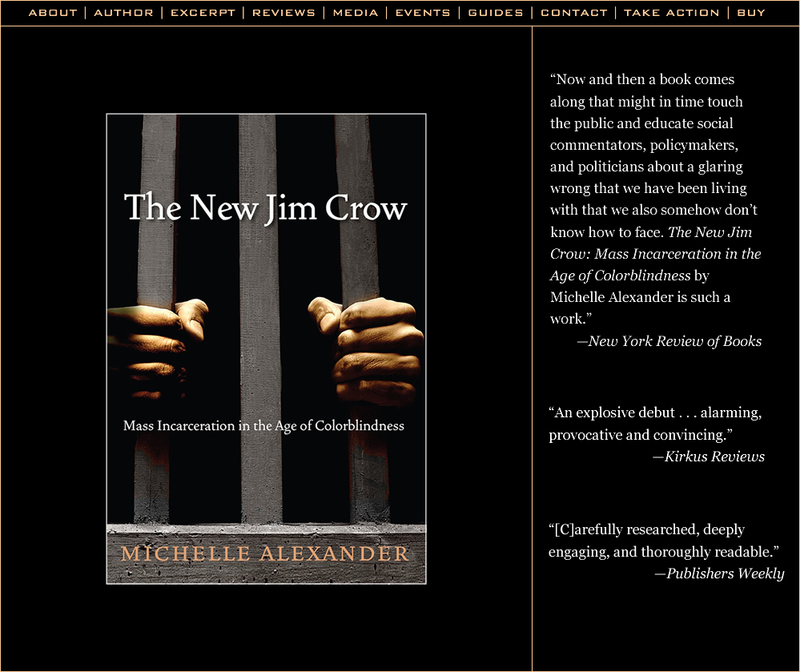 But it has almost a quarter of the world's prisoners." See U.S. prison population dwarfs that of other nations, by Adam Liptak, NYT (04/23/08). 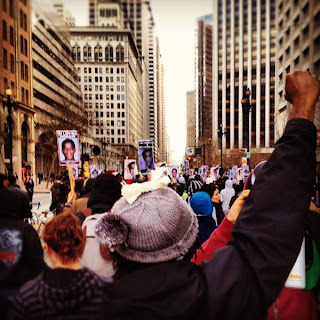 What is the reason for America's growing Industrial Prison Complex? 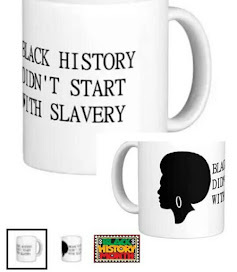 What, if any, connection does it have with the history of enslavement of Africans in America? 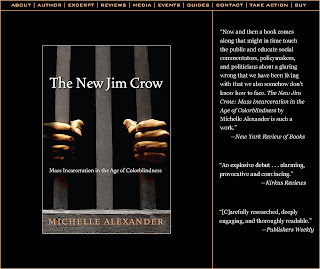 The Black History Heroes blog's quarterly online book club will be reading and discussing The New Jim Crow by Michelle Alexander from 7/1 through 9/30/12. 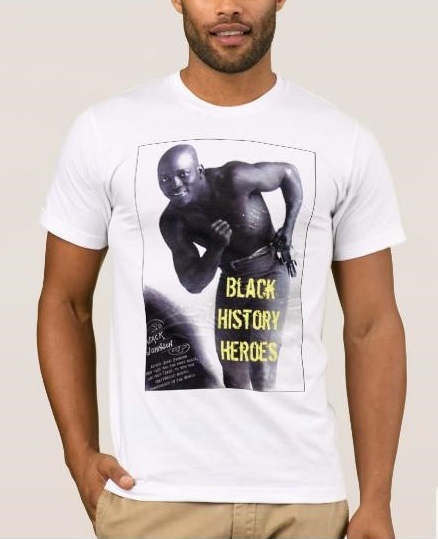 The goal of the BHH book club is to gather the blog's readers into a dialogue around a book related to African history and culture. Once you have read the book, post your commentaries and develop your discussions here regarding the book.